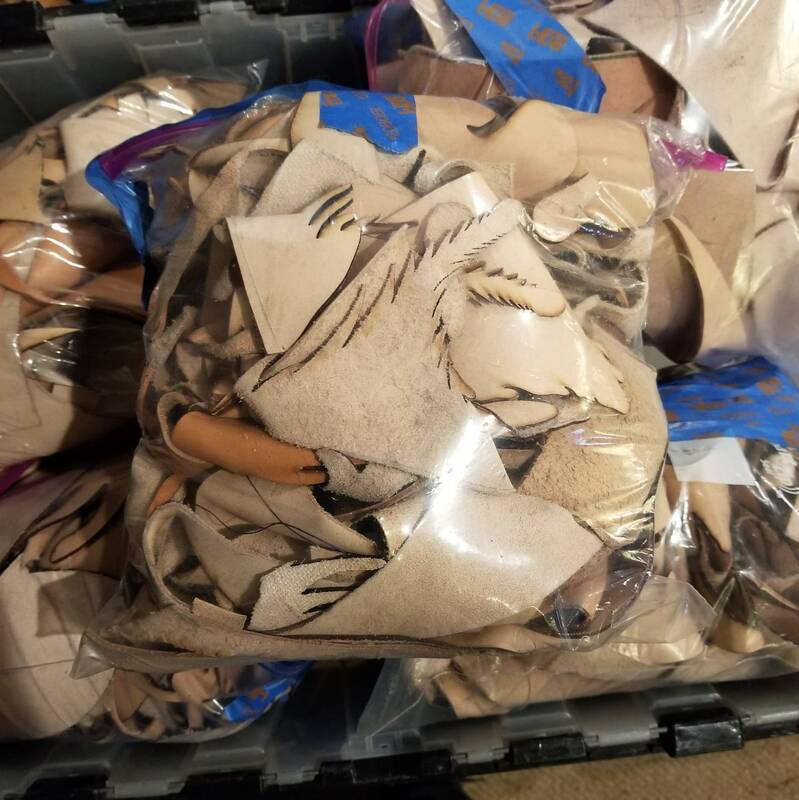 You are bidding on ONE 2 LB bag of Assorted Raw Un-dyed Veg Tan Leather in an assortment of weights ranging from 1-2oz on up to 5-6oz with mostly 3-4oz or 4-5oz scrap, some 5-6oz pieces and an occasional 6-7oz piece. Please note, this listing is not for the dyed latigo leathers, nor is it for the dyed garment leather. This is ALL VEG TAN. All of this Veg Tan scrap is Cow Hide. Additionally, I don't have time to dig thru each bag and give you a detailed account of every piece in each bag-you simply get what you get! For additional bags of the Un-dyed Veg Tan or to see listings for our dyed latigo and dyed garment leather scrap bags please see our other listings. Again, this listing is specifically Veg Tan, various weights, dyed and un-dyed. • Its veg tan which means it can be hand tooled & stamped, you can wood burn it, you can bevel the edges, it can be wet shaped and sculpted, it can be dyed, stained or airbrushed. There are lots of things you can do with Veg tan that you can't do with other types of leather. • Some pieces do have flaws, discoloration, pen markings, holes, engraved areas, stitch lines, brands from the cow, etc... It's scrap leather afterall! • ALL SALES FINAL & NO RETURNS!! PLEASE ONLY PURCHASE IF YOU CAN BE CREATIVE & ADVENTUROUS WITH WHAT YOU GET IN EACH BAG!! BUY MULTIPLE BAGS IF YOU WANT MORE VARIETY OF SIZES, COLORS & TYPES OF LEATHER! !